Talking Tom and Friends – Season 2 (2019) – What's New on Netflix Canada Today! 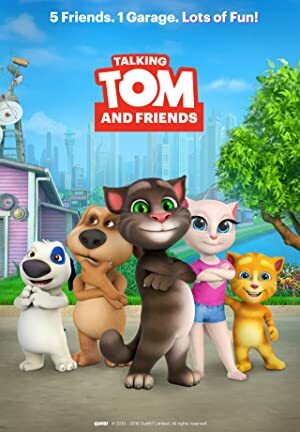 Talking Tom and Friends is the flagship franchise of multinational entertainment company Outfit7 Limited. As of August 2015 there are six characters (Talking Tom, Talking Angela, Talking Ginger, Talking Ben, Talking Pierre, and Talking Hank) and 15 apps within the Talking Tom and Friends umbrella brand. Since June 2010 the apps have achieved more than 3 billion downloads. It also had two TV shows, one was this one and another one by Disney.